The ISOBUS DRILL-Controller for seeders is a control system for implements with up to four metering drives. 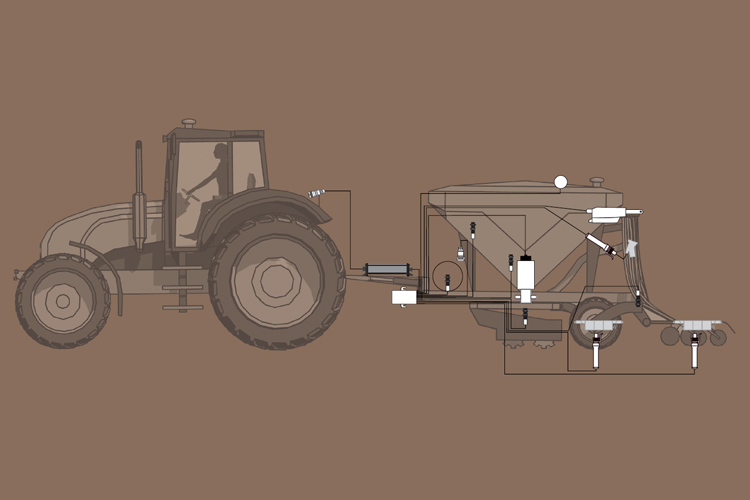 The job computer regulates, monitors and controls all of the connected components of a seeder. The application rate is regulated according to the set target rates for each metering unit with up to four different products (seed and fertiliser). Both electric and hydraulic motors can be used to achieve regulation. For implements with more than two metering drives, the system is expanded with an additional job computer. This solution is therefore ideal for all manufacturers, from the simple one-hopper implement all the way to complex large-scale implements with simultaneous spreading of fertiliser and seed. With its individual configuration options, the ISOBUS DRILL-Controller for seeders can be adapted to virtually any seeder functionality. The confi gurations can be created and edited either using a PC confi gurator or directly on the terminal. In addition to the regulation of the metering drives, the scope of functions also includes the monitoring of up to four metering shafts as well as the fan speed. Corresponding fi ll level sensors can also be installed on each seed hopper. Thanks to the clear menu navigation the calibration is made easier. After entering the target rate, the calibration can be started. Then the calibration weight is entered and the system is automatically calibrated. In the integrated product database, the calibration results for up to 30 types of seed or fertiliser can be saved with the corresponding values such as min./max. working speed, target rate and calibration factor. Special software functions, e.g. the waterhole mode or obstacle mode, considerably reduce the operator’s workload. Pre-metering enables precise seeding especially on the fi eld’s headlands. The ME joystick is available as an auxiliary controller. Through the support of AUX-N functionalities, the tractor driving lever can also be used to control the implement. 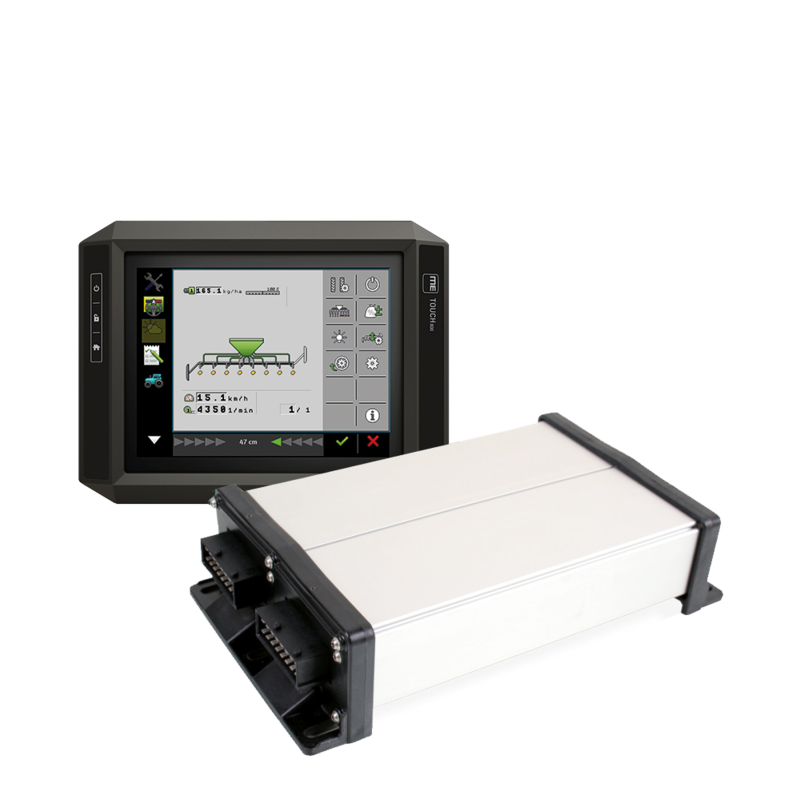 The DRILL-Controller offers internal trip and total counters for the area, quantity, time and area output for documentation purposes. Manufacturer-specifi c hydraulic functions for controlling the bout marker, folding and similar can be integrated as well as the working lights. I consent to Vantage SSA | Müller collecting my details through this form.